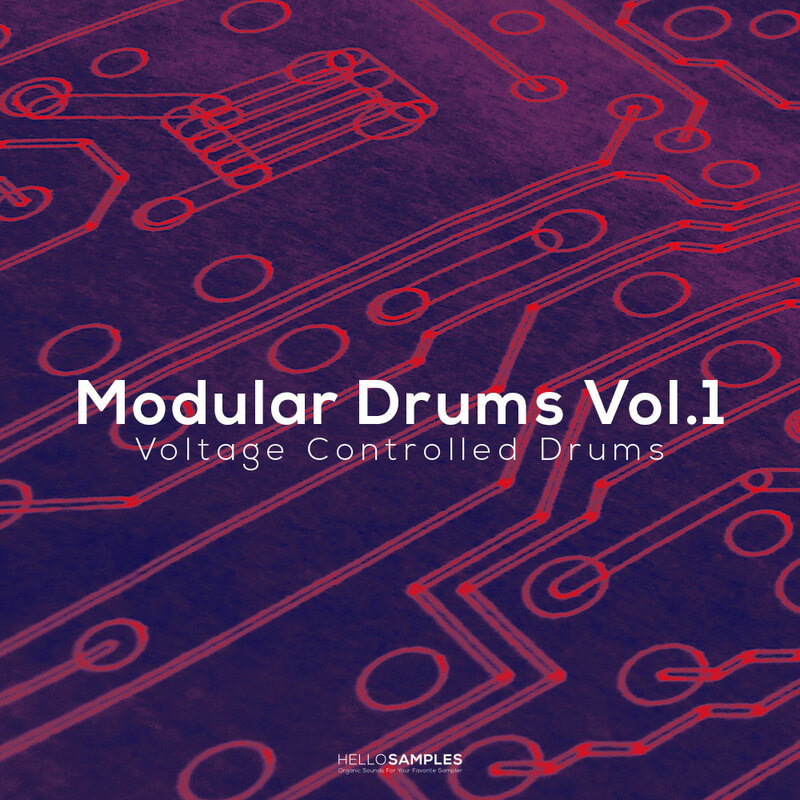 Fourth volume in our sampling series of iconic drum machines. Our victim for this occasion has been the Analog Rytm, a hybrid drum machine originating from Sweden, which you might already know. And that’s where we enter the scene with our hydrophones and mic’s in hand, aiming to capture those magical and uncanny sounds from nature, ultimately transforming them into organic kits for your beats. Do you also love the dust that sits on the cardboard covers in the crates at the old records shops…? What else is there better than taking taking the funkiest chops and passing them through old glories like the Akai MPC60 or S950 to give it the extra crispy touch? Dusty Crate Drums is the perfect complement for all those who are in search of that distinctive raw and dirty sound of the Hip-Hop Golden Era that seems to never go out of fashion. On Abused Modular Drums we’ve squeezed all the character and roar to create one of our most creative libraries to date. A perfect collection for all kinds of productions that require a striking and dramatic character, with a clear experimental focus that is almost noise, though staying at a very musical plane. If you’ve encountered the natural wild funk-rock of Undergrooveland while walking around Camden Town, you’ve probably stopped to listen for a while, partly because of Nathan and his unbridled drum playing. In Nathan’s style you can recognize the mixture between punk’s debauchery and the absolute control for detail that’s almost academic, making him one of the key references of the underground drum players. The word is attitude, and this little pack we’ve prepared is full of it! After our take on some modern analog classics –Jomox Xbase 09,Vermona DRM-1 & DSI Tempest– which we sampled thoroughly for our Raw Series of drum libraries, we decided to take a more experimental route this time and build a set of custom drum kits and sounds out of Pepe’s (Positif) huge and tasty eurorack modular. The cool thing is that, because of the custom nature of the modular system used, it sounds like no other drum machine on earth! Modular Drums Vol.1 really is as unique and alive as it can be! For our 3rd Raw Series Instalment, we’ve made a library based on the hybrid analog/digital drum machine DSI Tempest. We have maintained our “raw” philosophy, carefully sampling the drum machine with top class preamps without further compression or processing. (and round robin!) But… We decided to make a twist and give you the opportunity to use layered kits and add further processing to them with onboard FX available in your DAWs. The result is an incredible organic sounding library and the biggest one on our store right now! The XBASE 09 is a Roland 909 inspired drum machine with a twist. The bass drum and snare circuits have much wider range and the sound is a bit more modern and over-the-top. You can use it to emulate a convincing 909, but it can also go WAY beyond it’s limits. It’s like a 909 on steroids! This is specially nice since you can end up with something that sounds “familiar” yet not dated like the overused original 909. A clever way of sounding different. For our first Raw Series instalment we’ve sampled a Vermona DRM1 Analog Drum in it’s pure rawness. The main focus of this series is to offer you unprocessed raw dynamic sounding samples to become an alternative to most contemporary sample packs focusing on highly undynamic samples and audio-destructive processes like normalization and digital compression.